I’ve seen a number of marketing tips for start-ups over the years and while some have provided actionable advice, many are repeating the same tiered branding tactics everyone else uses. Look, there’s nothing easy about marketing your start-up business. With trillions of websites online and thousands of start-up companies entering the market daily, many webmasters and company owners can feel extremely lost in the massive online world. Many start-up companies can have great services, great products, great aps and customer service. They can have a solid business plan, feeding a market with millions of potential customers. You can have all the cards stacked in your deck. Although you will cross many obstacles during your run, one huge obstacle that you most overcome is marketing. In this article, we’re going to explore different marketing tips for start-ups and locally owned start-ups. You’ll be able to use these marketing techniques to help your company grow pre-launch and after-launch. What is the definition of marketing? According to trusty Google, marketing is the action or business of promoting and selling products or services, including market research and advertising. Simple in terms of defiance but marketing is one of the most vital skills of any business. If you can’t market your start-up business correctly, you won’t succeed. Believe it or not, there’s easily over 100 different marketing strategies that can be used to promote your business. While I won’t discuss them all, we’ll take a look at some of the most important marketing techniques used to promote your business online. 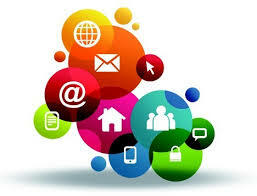 These are just a few of the many marketing types available to you. You may choose one, two or many of these marketing techniques to use for your start-up business. 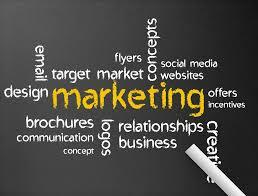 The key is planning which marketing types will be best for you and your business. You’ll have to consider your budget, staff and the time involved to perform in your plan. I always suggest A/B testing, start-up or not. If your not testing and running analytics on your marketing results, your making a mistake. Record and track everything. I’ve seen a number of companies, both online and offline, fail to market their business before the company launches. While for some, this may not be such a big deal, but you should always market and promote your business before your launch. There’s a number of different ways that you can do this successfully. One common way companies are promoting their business before launch is through social media marketing. You may want to consider using Facebook, Twitter and other social media platforms to reach your potential audience. Likely, you already have a Facebook page. If you don’t, go ahead and build a page for your business. Another great way to promote your start-up business during pre-launch is through email. Hopefully, you already have a decent-sized email list. Write up an email about the launch of your business and send it out. Now, if you don’t have an email list, you may want to build one. Yes, this can be time consuming but it can also be well worth while. Networking is important to any business. Take the time to research authority names in your niche. We use this same technique in SEO and link building. Look up their emails and send them out. If you can get a phone number, take the time to call. You’ll be surprised how many friends, associates and clients I’ve gained by doing this. Everybody needs somebody. If you have money to spend pre-launch of your start-up, this is going to give you many more options for marketing and promoting. You could run Facebook ads, Google Ads, pay for press releases or advertise on a related website. You need to plan and think this out, don’t just throw money here and there because you have it. All of these are the same techniques that can be used pre-launch and after your launch. If you are planning to launch products and special services with your pre-launch, there’s several ways that you can gain interest. Free giveaways and drawings are a great way to build interest in your brand, products and services. Think about giving discounts to the first 20 people that buy your product or service. You may want to give some things away for free to draw in interest. Anything you can do to create engagement and have people talking about your brand is great. You can do this pre-launch and after-launch. There’s also a number of marketing techniques that can be used after you launch your business. Again, we’ve briefly discussed Facebook ads and Google ads. With Facebook, you can set up ads that will be displayed all over Facebook. You’ll be able to promote in your city, state, country or around the world. You get to target your audience as well. The same can be said about Google ads. I would suggest that you know your customer profile before you do this, also the demographic you are targeting. One of the best ways to market your start-up business I with a website of course. Websites are usually part of the launch but I wanted to include this just in case you’re launching your business without a website. We’ll discuss some marketing strategies for those of you that are opening a local business later in the article. Content marketing is another common marketing technique to promote your start-up website. I would suggest including a blog with your website. Some people believe blogs are dead since more people are moving toward social media. While this may be true, blogging is not dead, not at this time. You can write articles about your business, about your niche. Showcase your skills and experience by writing helpful articles and content related to your business. This is a great way to promote your start-up business and showcase your experience as an expert in your field. Email marketing is a great way to make sales. We’ve been using it for years and others have been using email marketing for decades. To be successful, you do need a website to capture emails. 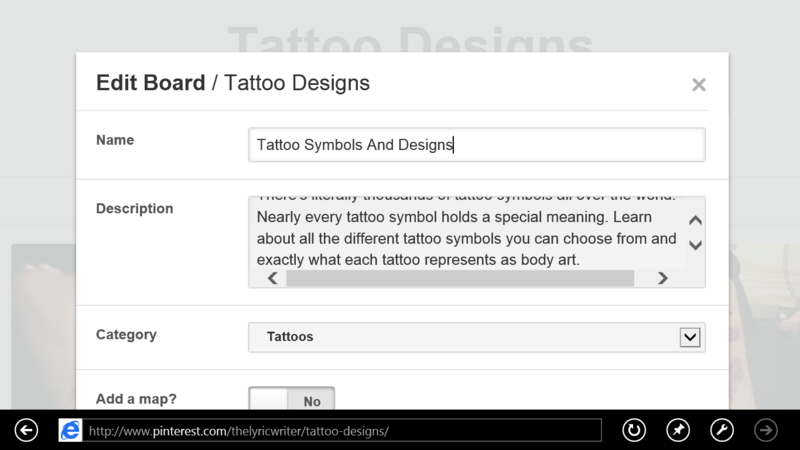 You can use what we call opt-in forms to capture names and emails. If your having a giveaway, you can promote the giveaway on your website and have people sign up to have a chance to win. Email marketing can get complicated for those that don’t understand it completely. You need a great auto responder email series to close sales. I would recommend Aweber but there’s several similar services online. For those of you that are promoting a start-up business locally, the same marketing tips for start-ups above should be considered. You should take the time to get a website built. Even if it’s just a 5 page website, it does serve a purpose. I know web design services can cost a lot but not with Hale Web Development, we’d be more then happy to help. You should also take the time to build a Facebook page and use other social media platforms such as Twitter, Pinterest or Instagram. If you can do your social media marketing yourself, this is free advertising. There’s also a number of local websites and directories that you can list your business for free on. This is crucial for any business, locally and online. Google recently made changes and local rankings benefited. More now then ever, local citations count. 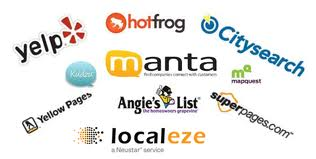 You can use Yellow Pages, Google+, Super Pages, Manta, Yelp and many other local citation websites to list your business for free. There’s also various marketing techniques you can use that doesn’t involve working online. You can take the time to make business cards, make flyers, make signs or make shirts with your logo. You could also put your logo and business number on your car or company vehicle. You could also pass out bumper stickers. Go to other companies and ask them if you can partner and help one another promote. As long as it’s not your competition, this could be a great technique to use. Reach out to your family and friends for help. You can even get a mascot to stand by the road and hold signs. These marketing tips for start-ups are just a few of many techniques that can be used to market and promote your business successfully. 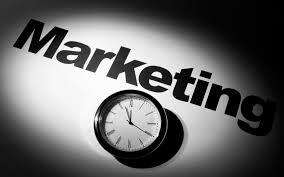 Marketing is crucial for every business, start-up or not. Don’t be afraid to step outside the box and try something new. I always recommend tracking your marketing efforts. You probably should invest in software. At the least, you should include your website in Google Analytics if your marketing online. Every brand needs an identity. Marketing is big for branding your business. You should be planning your marketing efforts from day one. Keep learning. I’ve been in web development for over 7 years and I’m still learning skills that help me today. Become a student of marketing, there’s a lot of great resources online that can help you. I truly do wish you the best with your business and I hope you were able to walk away from this article with new ideas and confidence. If I you ever have questions or need advice, feel free to contact us. If you enjoyed this article, please take the time to follow us on Facebook, Twitter. If you’re not marketing on Facebook, you’re missing out on a lot. Quit leaving money on the table, you have to get your Facebook marketing efforts planned, organized and optimized. This should be your plan in all social media marketing strategies. It’s no secret that Facebook is the social marketing platform of the world. Facebook has over 1 billion active users, no other social network comes close. Doesn’t mean that you can’t make money elsewhere, just the fact that Facebook is where the opportunity is. Over the years, I’ve met a lot of great people that do great things. Today, I’m going to introduce two awesome resources that you may or may not know. Either way, after today, you’ll know them and they will help your Facebook marketing across the board. Powerful resources. Now, I want to give a special shout out to Mari Smith. Mari is an expert Facebook marketer, we all stand to learn something from her when it comes to Facebook marketing. Mari doesn’t know me but I had the opportunity to watch one of her old webinars on YouTube. You can view her YouTube channel here. Mari has done many webinars on Facebook, she has written books and spoke publically. If you set down and watch one of her webinars, you’ll walk away with a lifetime of knowledge. Be sure to check out Mari’s YouTube channel. Now, Mari introduced me to an awesome website called Social Bakers. Click here to look at Facebook statistics. Social Bakers collects a ton of useful, informative Facebook stats that are crucial to your Facebook marketing efforts. Be sure to check them out and a big shout out to their founder. 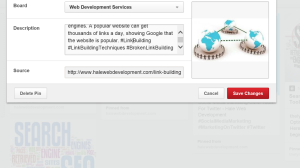 Social Bakers collects information on Facebook, Twitter, YouTube, Google+ and LinkedIn. Social Baker has a ton of free tools and resources. They also have premium resources that I would suggest that you invest in if your a social media marketer. Our statistic is 171,754,610 This is the sum of fans in “Retail Food.” Interesting, huh. Who would have thought retail food would have the highest number of fans. “Retail” was in a close second with 168,143,366 followed by FMCG Food with 130,530,377. What about 4th? “Beverage” is fourth on the list at 96,918,093 and fashion at 96,663,785 rounds out the top 5. What does this tell you in terms of Facebook marketing? If you’re in these niches, you have plenty of marketing fans and similar interest. Perhaps a few post on food, retail or fashion if you can mix your marketing efforts within your niche. Be creative and test it out, trial and error my friend. Our second stat is American users male vs. female. This is important to know, right? Especially if you’re in a gender specific niche. Female users on Facebook in America as of 5/14, 53.9 percent. Males are 46.1 percent. Not a huge margin but a statistic that matters. If you market to women, you have an advantage. It’s important to know who your marketing too. If you move to India, the rate is 75 percent male and only 25 percent for females. Women are also more social then men. Nearly 50 percent of all women on social media platforms visit their social accounts multiple times a day. As for men, you’re looking at around 34 percent. A decent percentage of all Facebook users check their Facebook account 5 times or more a day. The total, 23 percent. Surprising to me, nearly 48 percent of marketers believe that Facebook is overrated as a legit marketing platform. I’ve seen great success on Facebook, I’ve seen both sides of the street. I know for a fact that this 48 percent, probably over half of them didn’t run their Facebook marketing campaigns correctly. It is also possible that they didn’t run one paid ad. 78 percent of users log in from a mobile phone. This is a huge stat to take notice too. 78 percent of all Facebook users are logging in from a mobile device. If your website is not mobile friendly, your leaving dollars on the table. If your business is not running mobile ads, your missing out on getting your ads to a large audience. Mobile usage is still growing, this can easily surpass 80 percent and beyond. In fact, it is expected to. Make the changes needed and make sure your website is responsive. Facebook now has 1.28 billion active users. User growth is up 15 percent year to year. This is great growth and even more opportunity for you to cash in on your Facebook marketing efforts. On average, 1 million links are shared on Facebook every 20 minutes. This is a huge amount of links. That is also a lot of competition to deal with. This is why every marketing technique you use on Facebook needs to be properly planned and optimized. I can’t say it enough, trial and error. Test to see what works for your business, keep what works and move on from Facebook marketing techniques that don’t work. Facebook averages 809 million visits per month. Again, this is a big opportunity for your business to capitalize on the traffic. Surprising to some, this monthly amount is only second on the list. First, no surprise to me is Google+. Google+ leads the social community with 1.2 billion monthly visitors per month on average. These are just a few of the many Facebook statistics out there that can influence Facebook marketing. The more in tune you are to such measurements, the better results you’re going to likely see. Trends are trends for a reason, stay on top of all the major Facebook statistics as well as all your other social media profiles. Be sure to watch some of Mari’s webinars and check out Social Bakers. Good luck. Facebook is still the social giant and no other website comes close to comparing. Marketing on Facebook gives you a variety of different benefits to help your business grow online. 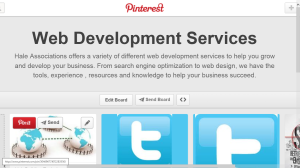 The largest social platform has several advertising features to help you reach your targeted audience. Both paid and free advertising campaigns on Facebook work if you know how to successfully run a campaign. Nearly every big corporation and business has a Facebook page. 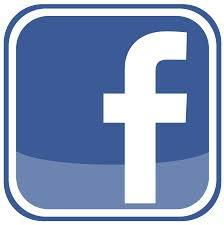 Over a billion people has a Facebook account and Facebook has over 700 million regular uses. No other social platform compares. The key to marketing on Facebook is audience targeting. Face it, the key to marketing in general is finding the right audience. As you’re going to learn, there’s several ways that you can do this, both free and paid. These proven marketing techniques have worked time and time again. No other Facebook marketing technique may be more powerful then interacting with your followers and fans. This proven marketing technique has worked time and time again. Studies have shown the success of connecting with fans on a personal level. Your Facebook page should be diverse, one way of doing this is through personal Facebook post. 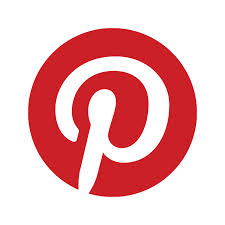 Post pictures of your new born child, a company party or your family vacation. 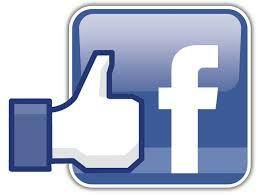 Successful companies on Facebook are those that have a diverse profile and page. Many experts believe in the 80/20 rule when it comes to Facebook marketing. For 80 percent of the time, you should concentrate on your business. For 20 percent of the time, you should share your personal side. This shows your fans that you’re a real person. You won’t believe the difference that this can make in your marketing efforts on Facebook. This corresponds with our first Facebook marketing technique but this specific strategy has to be mentioned. Two-way dialogue as it is called is a great way to engage your audience. Remember, you want a diverse Facebook page. You want it to be useful, interactive and educational. You also want it to be fun and engaging, this brings fans back to your page. So, why not start the conversation? Here’s what you can do if you come out with a new product or new service. You can create a post with pictures of you and the new product. Ask your following if they have tried your new product yet. If so, ask them if they liked it. You can try a poll, asking questions or any other technique you can use to engage your audience. Do this through a diversity of post, such as text, pictures, text and pictures or videos. Having fresh updated content gives your audience plenty to read, increases engagement and also brings fans back. Some companies try to keep their content at a limit, some even skip days in between. We say you can’t never have enough content. Your audience comes back to your page because they find it useful, helpful and fun. If you’re not keeping your page updated daily, why would they come back to your page? You have to be active daily if you want your Facebook marketing techniques to work. Make sure you’re using your content right, keeping it diverse and useful. This is especially true with your call-of-action post. We know that a mix of pictures, text, audio and videos perform much better together then alone. Don’t forget to draw attention to your page with free giveaways, contest or specials. Make sure it is part of your marketing on Facebook. There’s big benefits to having your audience talking about your brand. Of course, you want it to be positive rather then negative but it can have huge impacts on your marketing efforts on Facebook. Studies have shown that fans trust their friends more then brands. You want to build trust and you want to become an authority in your respected niche. If you’re getting your audience to mention your brand positively, it can have a huge impact on your success with Facebook. One of the best ways to create conversations is through a community page. Make sure you build a community page for your business. You also want to make sure you’re active on your community page also. You can offer recognition to the most vocal fans in your community to encourage others to begin the conversation. Give them a free prize or a shout out to show them that their voice is appreciated. This is a great way to get other fans involved and talking about your company. There’s a number of different ways that you can brand your company on Facebook. If you already have your logo, you probably can’t go back and have it changed. If you don’t have a logo, you want to bring brand awareness with your logo. Your logo should be unique and remembered. Branding is always important. More then likely, you already have a website. You want to bring your brand to Facebook. Familiarity is important in branding. 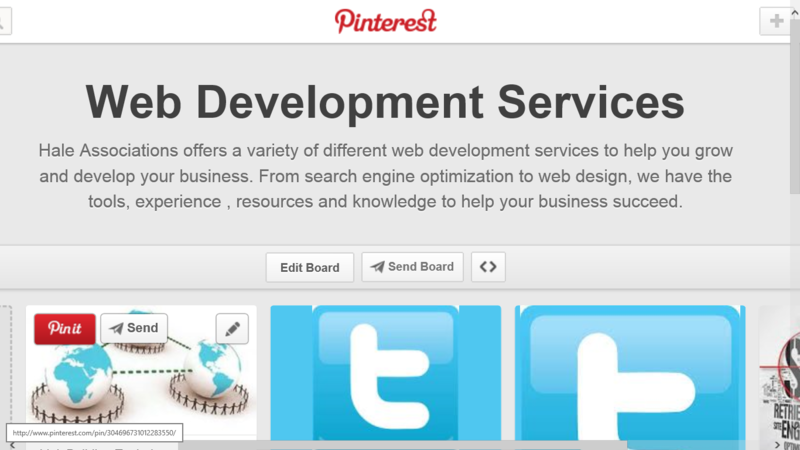 It doesn’t do your brand any good if your website looks completely different then your Facebook page. Remember to take elements of your website and brand to build into your Facebook page. You can use your tabs on Facebook to promote your products and services. This is a great area for short videos promoting your business. If you have a new product or service, be sure to at it to your tabs. Having familiar logos and themes will help your audience remember your brand easier. You should set purposes, goals and milestones for your Facebook page. You can have fun with your Facebook page but you need to remember the goals of your page. More then likely, it is brand awareness, networking or selling products and services. What is the purpose of your Facebook page? What is the mission or goals? What can fans expect by becoming a fan of your business? Tracking the success of your Facebook marketing techniques is the most important element of Facebook marketing. You have to monitor what works and what doesn’t. See which types of post get the most views or get the highest conversions. All of these Facebook marketing techniques can be done for free, we haven’t even discussed paid advertising on Facebook. You have to have a record of what works and what doesn’t. If you don’t, how can you improve? Always track your marketing efforts and the results so you have a roadmap for future marketing on Facebook. Paid Facebook advertising can be extremely beneficial to your marketing efforts. This type of Facebook marketing does increase viral reach and organic reach but at a cost. Studies have shown that we see small click-through-rates with paid advertising on Facebook. Paid advertising on Facebook will increase impressions and exposure but less people click on the ads. Negative feedback increases with paid ads. We all know that negative feedback can hurt business too. The only exception we see is paid links. If you’re looking for brand awareness, paid Facebook ads would be the way to go. If you’re looking for CTR, you need to consider which type of ads to use. According to Salesforce, sponsored check-in stories have the highest CTR at 3.2 percent. What about hashtags? Many experts believe that hashtags don’t work and there is evidence of this fact being true. 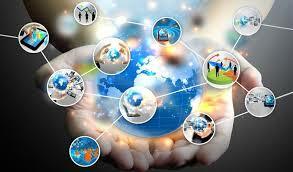 However, we believe it depends on a number of elements, including keywords chosen, post type and niche sector. My advice, trial and error. I’ve seen hashtags bring in a big audience and I’ve seen post with no hashtags do the same. Just like with any type of marketing technique, what works for one may not work for another. Keep records of this, I mentioned this earlier. Try different Facebook marketing techniques and see which work best, which don’t and make the appropriate changes. As social media marketing becomes more of a ranking factor in search engines, it’s becoming more important to have good social media metrics for search engine optimization purposes. Most of you probably already know about popular social media websites. More then likely, you already have a Facebook account, Twitter account or a YouTube account. If you don’t, take the time to get your accounts started and you can always come back to learn about social media marketing. Today, we’re going to take a look at social media marketing on Twitter. Twitter is one of the largest social media platforms in the world. At the time of this article, Twitter has around 255 million active users. Not as much as Facebook but 255 million users is not that bad. Rather, 255 million equals opportunity. There’s a number of different social media marketing techniques you can use to optimize your Twitter platform for your business. From hashtags to eye-catching tweets, you should take the time to see how Twitter can work for you and your business. I’ll teach you that in a later article. For now, lets talk about a great tool for Twitter known as FollowerWonk. FollowerWonk is an awesome Twitter tool that you can use to evaluate data in a number of different ways. One social media marketing technique used for Twitter is following other Twitter accounts in your niche. Real quickly, why is this important? This allows you to follow and learn from leading names in your niche. It even opens the doors to possibly having an authority Twitter account follow you back and share your tweets. With FollowerWonk, you can search your keywords and you can find authority accounts in your niche. You can do a lot with this Twitter tool and it doesn’t cost much. You’ll also be able to use this tool to look up the authority of Twitter users, you’ll know how much their Twitter account is valued. Following authority accounts can increase your own authority. Remember, just like a website has authority and value, your social channels do as well. Many fail to realize this. Your social channel can gain value, domain authority and other important metrics. Below, you’ll find my review on FollowWonk. For the record, I’m not affiliated with this tool or the developer. This is just my honest review on this SMM tool. I made this video a few months ago. I go over all the different features in the video. My conclusion, this is a good Twitter tool that will benefit you, well worth the small cost. While Donald Trump has certainly sparked interest for the Twitter platform as of late, it’s still a powerful social media platform that has a lot of influence in the world. Twitter has changed a lot over the years trying to keep up with Facebook, Instagram, Snapchat and other social media giants. Despite being under those platforms in growth and user bases, Twitter can still drive a lot of business when leveraged correctly. So, how can you use Twitter marketing to grow your business? 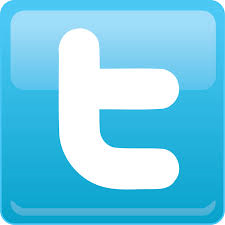 Twitter is one of the most popular social media websites in the world. The success of Twitter is marked by the company’s IPO last year, its continued growth and the power of the Twitter platform. Twitter was original, unlike no other social community at the time it was launched in 2006. Today, Twitter has million of users and that equals opportunity for your business. As of 2018, Twitter has 330 million active users with 100 users being active daily. 500 million tweets are sent every day. Many companies have invested a lot of time, money and effort marketing on Twitter and with good results. Every company has that same opportunity but you need to have a social media marketing plan to ensure your ROI, outsourced or not. Below, we’ll explain how your company can prevail on one of the largest social media platforms in the world. Many companies fail to realize the importance of your Twitter profile but studies have shown that interactive profiles are a crucial element from the get go. When someone comes across your name via search, your profile is the first thing they will see. Your Twitter profile should stand out among the crowd in a good way. Boring profiles with unattractive and uninviting images could doom your Twitter account from the beginning. First, make sure your Twitter profile is built with relative pictures that are interactive and attractive. Make sure you write descriptive sentences about your business, it should be detailed as much as possible. Consider using a collage. Twitter recently updated their design and it gives your profile picture more expression, so make I work in your favor. Hashtags are an important element to Twitter. Hashtags are plentiful, equal to the millions of tweets that are sent out daily. Hashtags categorize conversations into groups, a technique that is important to any social media marketing campaign. The key is finding what hashtags to use. This will depend on your business of course but I’ll give you an example. If you are a retailer, hashtags such as #retail and #shopping are going to be hashtags your company would use. Hashtag your products, ideas and services. You should always make sure that your hashtags are relative to your tweets. Hashtags can be used in a number of different ways to help users find your business. This can be used for marketing, lead generation and customer service. You should consider getting a hashtag list together so everyone in your company is aware of the correct hashtags to use. Using the right hashtags will be important to every social media marketing campaign you run on Twitter. Hashtags can trend quickly, so you have to be on your toes. You can use tools like Google Trends to find trending topics. The time and day that you send your tweet matters. There’s been a lot of different studies and analysis on the best and worse times to tweet on Twitter. Knowing your niches behavior is important. You want you tweets to be optimized and perform the best that it can, right? If you’ve been on Twitter, you can tell which post are automated and scheduled. There’s nothing wrong with scheduling tweets but all day? You don’t have to send tweets out every minute, 24 hours a day, to get good results. You do need to make sure your sending tweets at peak hours. For Twitter, the best times to tweet are between 9AM-3PM Monday through Thursday. The peak times for these days are 1PM-3PM. Leads increase by 55 percent as well as numbers across the board. Statistics drop off big after 8PM, don’t waste your time sending out tweets afterward. Friday, 10AM-2PM for Twitter. Results drop off for tweets after 3PM. It doesn’t matter if you’re running Twitter campaigns or your networking, connecting to other professionals in your niche is important. There’s a variety of benefits when you connect with other Twitter accounts. For one, it gives you or your company the opportunity to grow your network. It will also increase your chances of your tweets being favorited, retweeted and shared. In business, you can never have enough connections and resources. Your new social connections and interactions can open doors to new opportunities and new business. Connecting with niche related professionals can help you gain an advantage over your competition, the possibilities are endless. It’s a great way to learn, interact and share information that may benefit one, the other or both. From what I’ve seen, it’s a combination of organic Twitter marketing and Twitter ads that get the best results. Twitter ads are relatively inexpensive. Just like with Facebook ads, Instagram ads or YouTube ads, Twitter offers your business a number of different advertising options. When done correctly, Twitter can be an effective channel for your business.